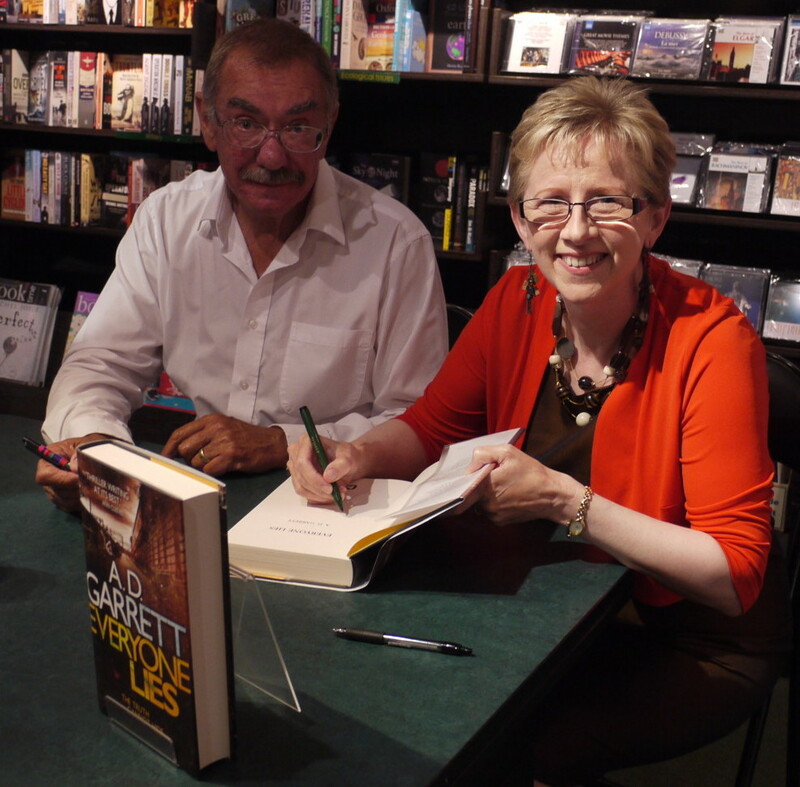 Last night, I went to good ol' Lingham's bookshop in Heswall for the book launch of debut author A. 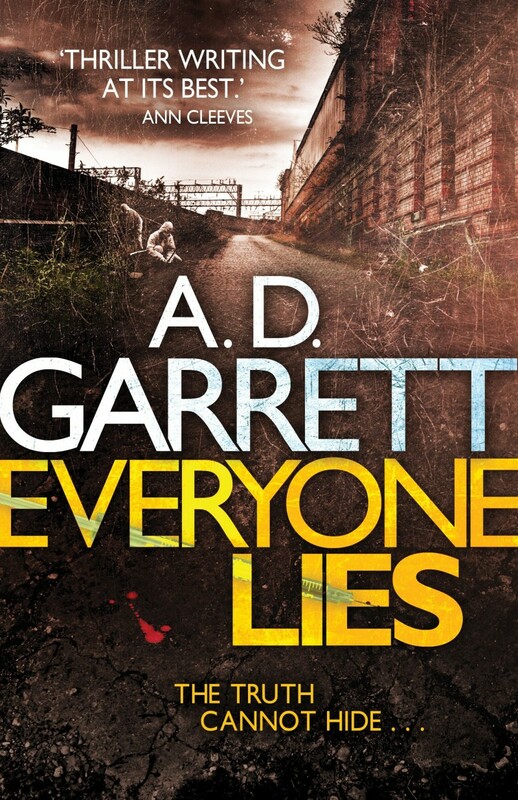 D Garrett's Everyone Lies. 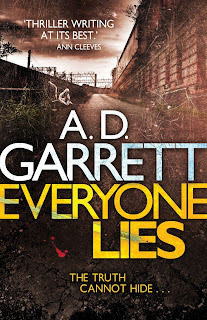 A.D. Garrett is actually the new partnership between crime writer Margaret Murphy and Professor Dave Barclay who is a forensic scientist. It was an entertaining evening. Margaret read two gripping passages from the book (one a piece of authentic-sounding dialogue and the other a description of forensics) which was neatly followed by a session by the professor who described how this last passage related to real -life. This was lively - and featured shoe-throwing in best Middle Eastern style (indicating how footwear can provide essential evidence, rather than to inflict injury!) . 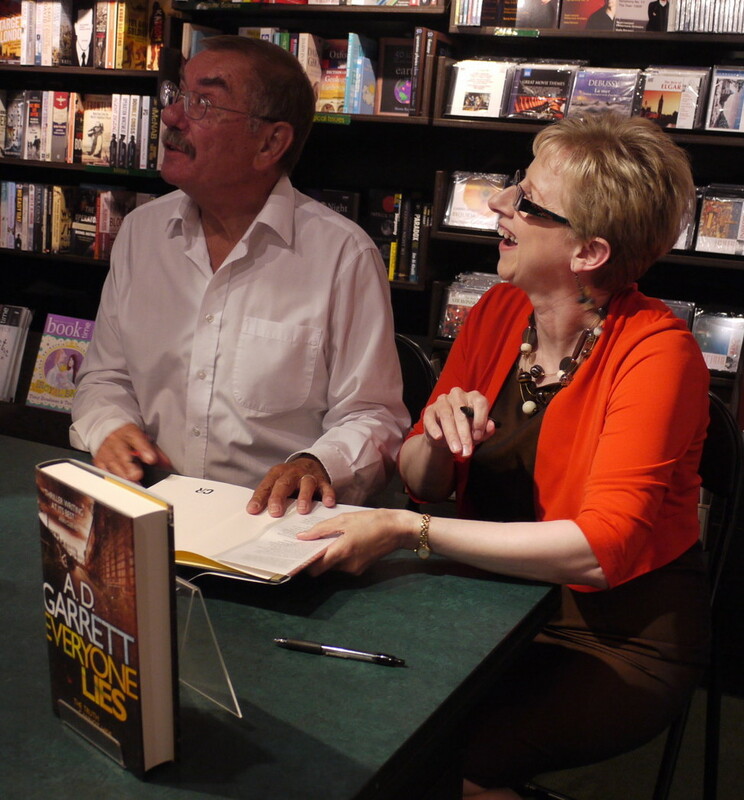 After the customary book-signing, I resisted opening the book for about an hour before succumbing to temptation. Ann Cleeves advised Margaret to keep the preface for readers for themselves - a wise move. It is powerful stuff - and a stunning passage of writing. The first chapter starts with a lecture, and it is here I think I can see the influence of the other half of A.D. Garrett, with some interesting and funny information on bodily fluids...well, one fluid in particular. I am looking forward to the rest with relish. 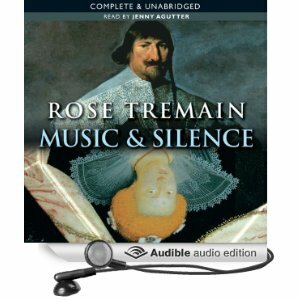 Yesterday, I finished Rose Tremain's Music and Silence. I was listening to it on audiobook, but in the end decided I was enjoying it so much I needed to read the written word too. 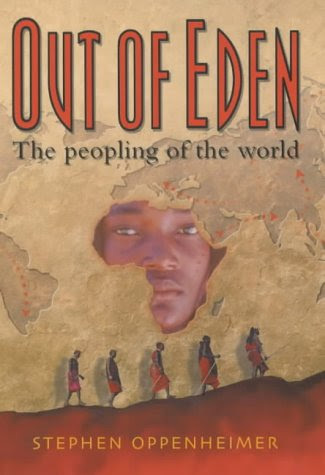 It's poetic, interesting, funny and has wonderful characterisation. One of my all-time favourites. Without spoiling the plot, there was a development towards the end which I thought might be far-fetched...until I read in the newspaper this morning about a woman from Derby who found that the headaches and scratching noise she was hearing was due to an infestation of flesh-eating maggots in her ear. She had recently been on a holiday to Peru, remembered walking through a swarm of flies, and having extracted one from her ear, thought little more about it. Unfortunately, its maggots turned out to be a rare sort that relished the flavour of living flesh. It makes the incident in Music and Silence sound almost tame in comparison. It's all Lone Frank's fault. 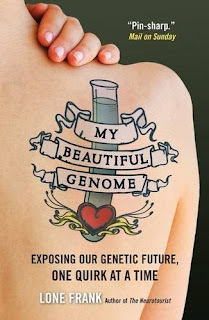 I just finished her book My Beautiful Genome and it was just so interesting, it whetted my appetite to learn more. 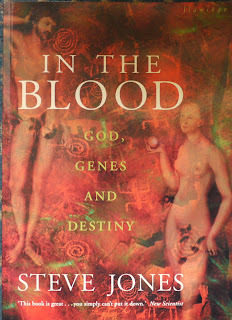 plus three by Steve Jones, including the illustrated In the Blood which I'm reading now. and Out of Eden by Stephen Openheimer on its way to me courtesy of Royal Mail. 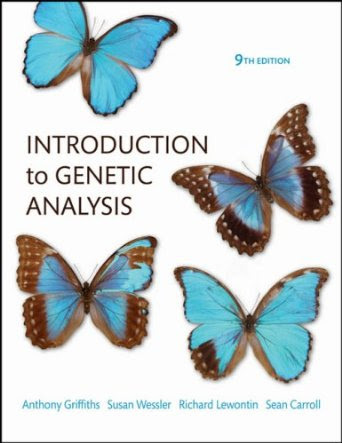 and then a chapter on how genetic profiling can be used to treat illnesses led me to not only rout out the Steve Jones books, but also order a book called Introduction to Genetic Analysis by Anthony Griffiths et al. 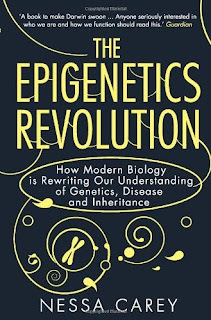 Luckily, I already had The Epigenetics Revolution by Nessa Carey on my ipad already, so the Epigenetics section was not as expensive. My Beautiful Genome itself is a really good book - highly entertaining and absorbing. Lone Frank has my favourite sort of humour - self-effacing - which I sometimes found laugh-out-loud funny. 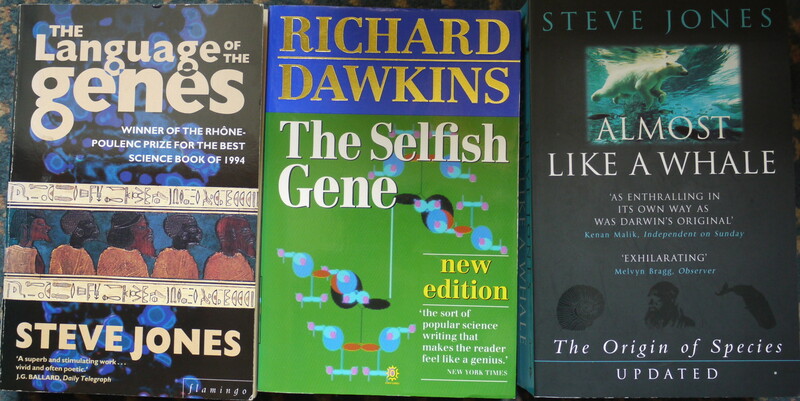 I also learnt a lot about how what we are and how we behave depends on our genes. Of course, I kind of knew this already, but it's all here in the detail, which makes it so much more fascinating. For instance, just a small change in a gene can change a single amino acid in a protein (monoamine oxidase (MAOA)), and this in turn can make us more agressive or depressed: a 'warrior' or a 'worrier'. 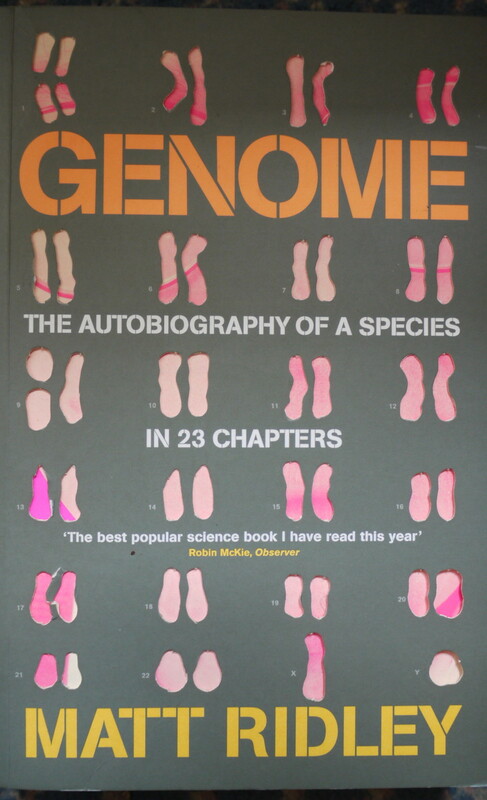 Putting it like this makes it sounds simple, but it's made complex by the huge number of genes, and the even larger number of possible ways they can interact. 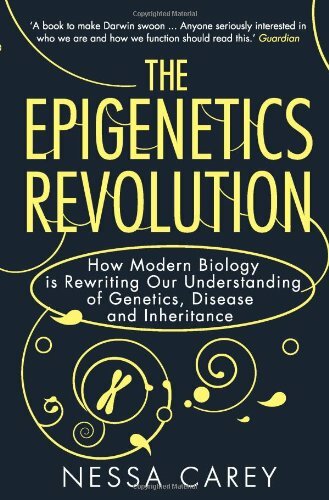 The changes identified so far (in particular the genes coding for the enzymes catechol-O-methyl transferase (COMT), brain-derived neurotropic factor (BDNF), the DRD4 dopamine receptor and the Seronin transporter (SERT) are thought to go some way to explain racial tendencies, and raise some interesting questions on the implications for society. I learnt a lot. I think it is going to be one of those books that change my world view. I'm really glad I read it - even though my purse is now quite a bit lighter. I came across the story behind the deciphering of Linear B a few months ago on the BBC News website and thought it so interesting that I sent a link to a friend. 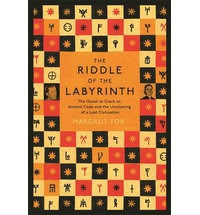 So when The Riddle of the Labyrinth landed unexpectedly on my doormat last week, I was delighted to have the chance to learn more. 'Linear B', I should explain, is an early language predating classical Greek, discovered at the turn of the twentieth century in Crete. The book is divided into three: each examining the contribution of the three principal contributors to the story: the archeologist, the detective and the architect. It starts with the archeologist, Arthur Evans, who first dug into the site of the site of Knossos, the fabled palace of the Minos kings, in 1900. There he found a remarkable cache of 'slips': palm-sized tablets of clay with three sorts of writing: hieroglyphs and two linear forms which he called A and B. They were called 'linear' because they were composed of lines from a stylus. Of the three sorts there were many more examples of 'Linear B' than either of the others and consequently it is this one that has received the most attention. 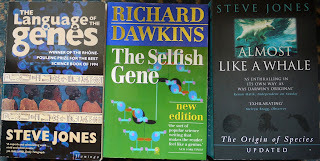 I learnt, reading this book that there are three sorts of writing: logographic (consisting of hieroglyphs like Egyptian), syllabic (where characters represent syllables) and alphabetic (each character represents an individual sound like the one you're reading now). Identifying them is straightforward with enough samples. Logographic has thousands of different characters, syllabic require 80- 200, while alphabetic just require an alphabet (i.e. a couple of dozen or so). Evans noticed that Linear B was 'mixed': partly logographic and partly syllabic. Apart from establishing that it was written from left to right and contained numerals he made very little further progress. Because Evans allowed only 100 slips to be photographed, any other scholar working in the field had little to go on. This wasn't the only limitation. Alice Kober, a lone academic in post war New York, was forced to work on scraps of recycled paper. Despite this, she devised an impressive system: the scraps of paper were cut the same size and filed in old cigarette cartons, then as she came across a character she would assign it a punch-hole in a precise location on the paper. In this way she was able to line up similar characters - rather like the way an early computer or a Jacquard loom works. 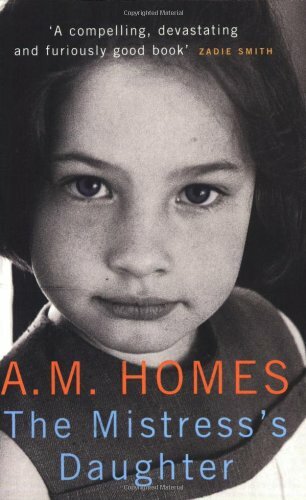 The book has a lot of fascinating detail on how she deduced the language was inflective (i.e. had different endings added to a stem to change its 'case') by means of grids. This led to her critical realisation on what happens when an inflective language is written in syllabic script. This explanation is made even more interesting by descriptions of Alice Kober's life and character through extracts from her letters. She comes over as a warm, funny and kindly human being. She was clearly admired and valued by her many students. However, her duties as a teacher became more tiresome as she strived to solve the code. Marking papers and a full timetable, as well as a tendency to help other academics, was partly responsible for her failure to solve the riddle. In the end she ran out of time, dying unexpectedly early at the age of 43 in 1950. Michael Ventris was an equally interesting character: less methodical than Kober and more quixotic with an incredible gift for languages. His was a more intuitive approach, and he was more tolerant of inaccuracies. This meant he was happy to extend Kober's grids, rearrange them and assign sounds to the characters based on Etruscan which he was convinced was the solution. Importantly, he also had greater access to another source of Linear B: another cache had been found by an American archeologist on the mainland at Pylos. Ventris's breakthrough came when he realised that some of the characters found uniquely at Knossos were probably the names of Cretan towns. He then turned to the Cypriot script of Cyprus. This was another syllabary and shared a few symbols with Linear B. The Cypriot script was a millenium younger but a bilingual inscription in Cypriot and Phoenician had been found which allowed Ventris to assign sounds to the characters. This, together with his discovery that there was an inflection for the masculine and feminine forms - a characteristic of Indo-European languages - convinced him he had found an early Greek dialect, and therefore had to dismiss his Etruscan theory as the Etruscan language was not Indo-European. Further confirmation came from an newly unearthed table named P641. This was a list of script and logograms for the same objects. It was almost a Rosetta stone - and it matched. Ventris was a troubled man from a troubled family. His parents had been psychoanalysed by Karl Jung who advised that their child should not be touched (to guard against his developing an Oedipus complex!). His father died young and then his mother committed suicide, and there is a suggestion that Ventris too committed suicide when, aged just 34, he 'pulled at high speed into a rest area off the main road. He collided with a parked truck and was killed instantly.' His solution of Linear B had disturbed him. He'd worried if he was right. Margalit Fox's purpose in writing this book, she says, to redress a few wrongs. Alice Kober's role in solving this riddle has gone largely unacknowledged. Even Michael Ventis's death was unreported in the New York Times. By writing this book she has told their story. She also tells the story of Linear B, how it probably evolved from Linear A and was used to write an ancient form of Greek - the language of invaders from the mainland. The use of a syllabary to express an inflective language like Greek is problematic, and it was realisation of this imperfection that caused Kober to make her important breakthrough. I wonder if the cumbersome nature of Linear B to express Ancient Greek was the reason Linear B was lost. Maybe the Mycenae deemed it useful only for inventories, so no one was too anxious to retain it as a script. 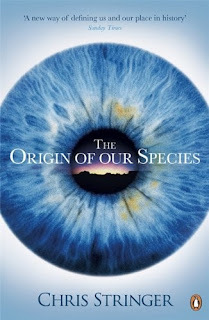 But as Margalit Fox shows in the final chapter, even inventories can tell us a lot - about the people that made them and their language which eventually formed the basis of our own. 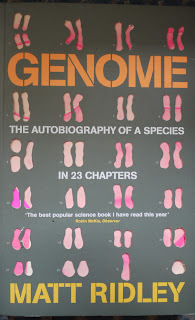 Many thanks to Profile Books for sending me a copy to review.